High-tech features and precision performance. Bringing Schecter’s beloved SLS Elite line to a whole new audience, the SLS Elite-5 Bass will satisfy even the most discriminating bassist. A carbon fiber- reinforced 7-ply maple/walnut/padauk ultra-thin thru-neck meets a premium swamp-ash body with a stunning flame maple top, and is then treated with an ultra-access heel carve for comfortable playing in all positions of the 35" scale neck and unencumbered access to all 24 X-Jumbo stainless steel frets. The premium electronics package features Fishman’s Fluence bass pickups, offering incredible power with stunning clarity and warmth, and a generous assortment of tone-sculpting options at the player’s fingertips including a 2-band EQ, single-coil switching option via the volume push-pull, and 3-way switch for alternate voicing and mid-cut selections. Ensuring that the foundation you lay for your bandmates is solid and consistent, premium components including a GraphTech BlackTusq nut, Schecter Custom bridge, and Grover 144 tuners keep your tuning exactly where you want it. The end result is a bass with looks to match its boutique-quality tone and build. Case sold separately. 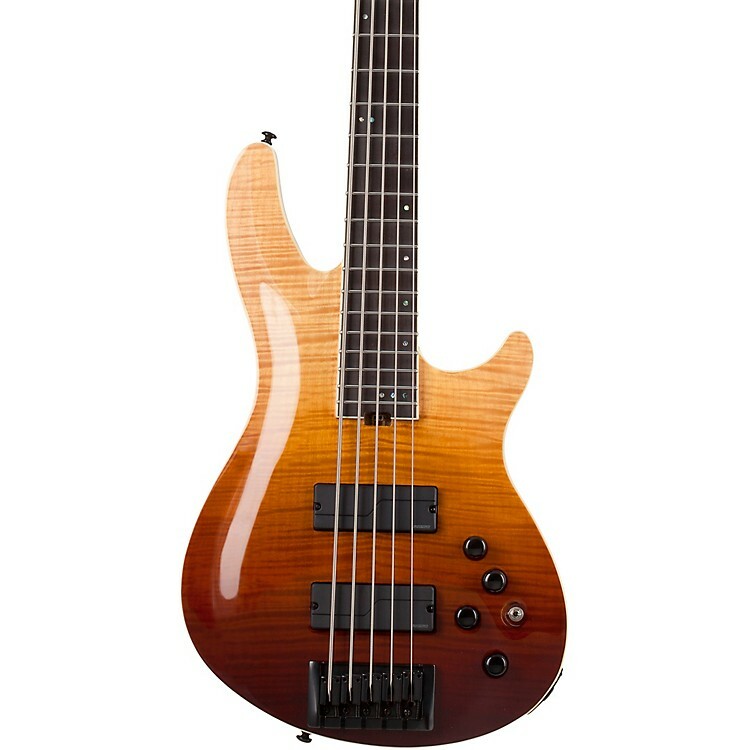 Experience the the playability and versatility of this great bass. Order today.